It’s universally known that even if you live in New York City your whole life, you’ll never see everything. From the diverse food to the political street art and the inspiring museums to the talented actors on Broadway, I knew heading into a long weekend in the city that never sleeps that I was only going to see a fraction of what it has to offer. We arrived on a bright Thursday afternoon at Newark airport and with the Manhattan skyline in the distance across the Hudson I was prepared to see as much as I could, no matter how much sleep I would have to sacrifice. I was travelling with my dad, who — luckily for me — wanted to see exactly what I did. One of our first stops was the Whitney Museum of American Art. Featuring an exhibition created by Laura Owens, the interactive installations caught my eye right away, offering every viewer a different interpretation of the piece from various standpoints across the hall. 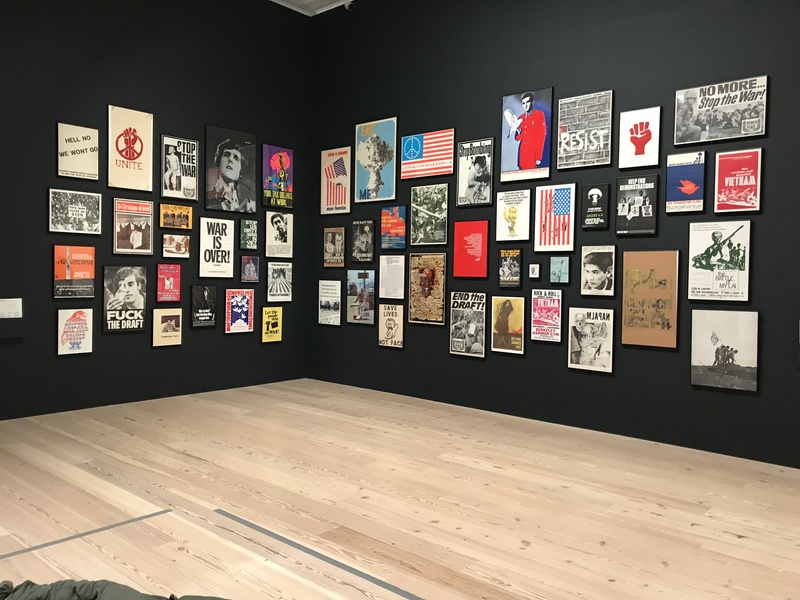 But what I found most intriguing about the museum was “An Incomplete History of Protest: Selections from the Whitney’s Collection, 1940–2017” which highlighted everything from American war propaganda and police power abuse to the resistance and activism in today’s society. On Friday, we visited was the 9/11 Memorial Museum, which was easily the most powerful museum I have been to in my life. We spent well over four hours listening to survivors’ stories, watching archived news clips and reading international headlines — and it was nowhere near enough time. I could have spent my entire day on the memorial site of the World Trade Center. I’ve visited many museums over the years and not one has ever brought me close to tears. 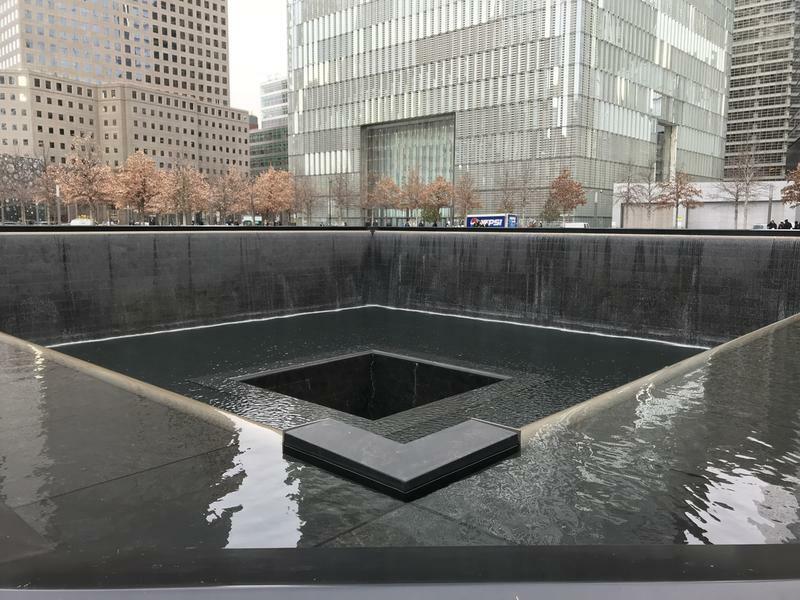 But this memorial, with their live videos of people jumping off the roof of the Twin Towers and audio recordings of victims of the hijacked planes leaving messages for their families, choked me up. 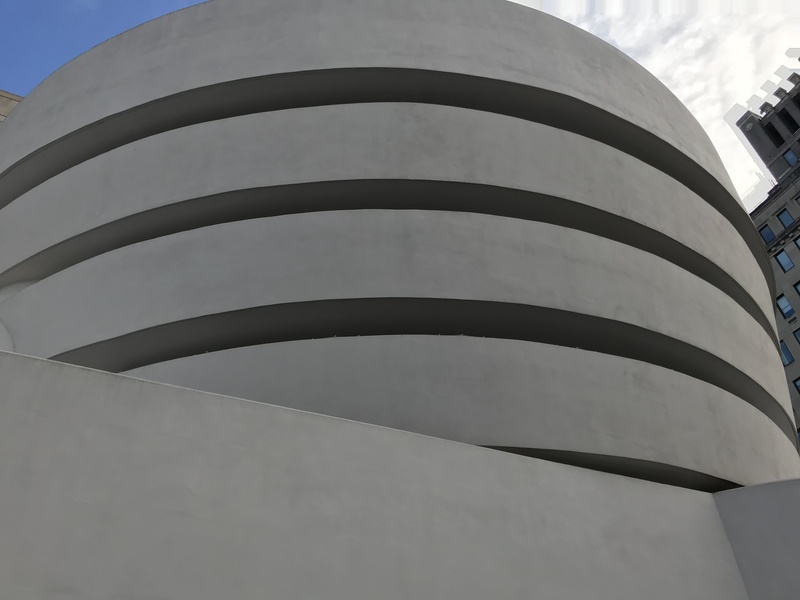 Finally, we visited the Solomon R. Guggenheim Museum, whose architecture blew me away more than any exhibition going on inside. The winding, spiral ramp offered a look into various forms of art, each piece just steps away from another work that was completely different. We could have spent the whole trip wandering the halls of New York’s museums, but no trip would be complete without seeing a Broadway show. I’ve heard so much about Broadway, but have never actually had the opportunity to go until this weekend. Following the 9/11 theme we started on Friday at the museum, we found last minute tickets to Come From Away, a story about 38 planes that were re-routed to Gander, Newfoundland on September 11, 2001 — the small, remote town saw 7,000 stranded passengers in need of help that day. As cheesy as it may sound, this show made me proud to be Canadian. The residents of Gander opened their homes to the passengers who could not make it home or contact their families, who did not have access to their personal belongings and who were stuck on the tarmac with no information about what was going on outside of their plane for over 24 hours. A cast of just 16 told the story of over 16,000 people and somehow it was so easy to follow. With so many different threads and peoples’ stories, I watched as the cast sung and danced around the simple set, keeping the story of this odd and twisted scenario alive. It was a story I had never heard of before and one that I will never forget. But we weren’t just looking for culture and patriotism, so we of course had to do some touristy things. We wandered down Fifth Avenue, visited Rockefeller Center and saw the massive Christmas tree and walked through Central Park. Something I noted about New York — that I find so different than Vancouver — is that every building seemed to impress me. The redbrick apartments with their fire escapes, the Brownstones, the Metropolitan Museum of Art, the Oculus, their bizarre stacked parking lots, and the skyline in general, were all things that really stumped me about this city. It’s the perfect mix of old and new, of historical and modern, that no other city seems capable of pulling off. And that doesn’t even account for the food. From trendy sushi restaurants to old school Italian, I found myself constantly full and always looking forward to the next meal. Like most people on vacation, I was eating more hearty breakfasts than I normally do, which kept me stuffed until mid-afternoon. Most days, I picked up a quick lunch, like a lox bagel from Russ and Daughters — a small, Jewish shop that is a must for any New York visitor — or a salad from Pret A Manger, a chain deli-type shop. I’m also pretty sure I met my future husband, a 70-year-old Italian server, who brought me two types of pasta when I couldn’t decide between a special and a restaurant favourite. In most cities that I travel to, I prefer little hole-in-the-wall restaurants that only locals know about rather than big, popular places, so I spent most of my days prior to the trip contacting friends that live in the area for their recommendations — and I came away with a list that would take me at least a year to get through. Unfortunately, I only had three days and my time was up. From restaurants, bars, clubs, shops, museums, and landmarks, New York City has more to offer than I could ever accept.